A lifelong connection to a global network of Ormondians. As an Ormondian, you will develop lifelong friendships and a connection to the College that will continue to support you throughout your life. Thousands of Ormond alumni live and work all over the world and there are many ways for you to remain connected to the College. You can continue to learn, socialise, and pass on your knowledge, expertise and experience by keeping connected to us and in the process you will continue to maintain the friendships you formed during your time at College and to perhaps even develop new ones. The Ormond College Association (OCA) is the representative body for all past residents and non residents, including students and academics. Membership is automatic for students who resided at College for more than one semester. The OCA Committee meet quarterly and work closely with the College to organise the OCA Dinner and Decade reunions held each year. Please contact us if you would like to be involved. We have many ways for you to stay connected with our alumni community after you leave the College. Each year Ormond hosts reunions at the OCA Dinner for the 10, 20, 30 and 40 year anniversaries. This provides you with a fantastic opportunity to come together, catch up with your friends and reminisce about your times at College. Also held each year is the Et Vetera & 50 year reunion luncheon where the 50 year fresher’s are welcomed into the 50 year plus alumni community. This is a great opportunity to come together and share your memories from your time at College over lunch. Various interstate events are held where you have the opportunity to engage with each other and the Master and hear about the latest College news. An annual cocktail event is held in NSW in September. We have held alumni events/ reunions in Hong Kong, New York and London. For more information or to help put together an alumni event contact us. Alumni are an integral part of the professional engagement opportunities we provide to students. Be it through our mentoring programs such as Four Coffees and a Dinner, the ACT Budget Tour, specialty career evening dinners, faculty evening talks or work place visits our alumni continually give back and support our students. If this of interests you we’d love to hear from you. Our biannual Ormond College magazine keeps you connected with the latest College news and activities as well as profiles and updates on Ormond alumni. View recent editions. Quarterly publications of the Alumni news keep you connected with news from the College and upcoming events. 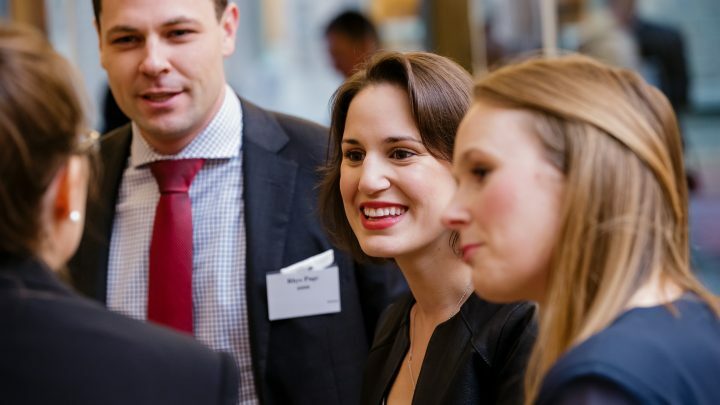 For more information about how to stay connected with our alumni community, please contact our Alumni and Community Team on alumni@ormond.unimelb.edu.au.